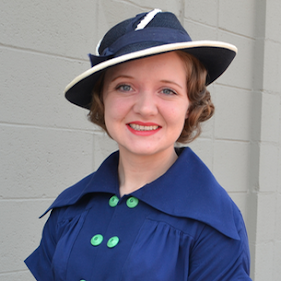 Emileigh, are you referring to Joanna's post: http://dividingmoments.blogspot.com/2014/08/what-did-she-wear-to-firemens-ball-1947.html ? I think it's a neat idea. Yes, yes I am!!! Thanks so much! I'm adding the link to the post now! This is so inspiring! 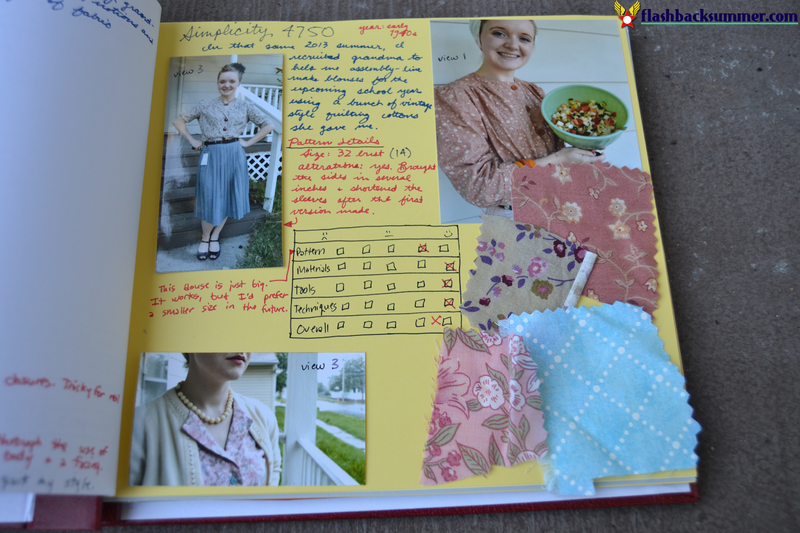 I so badly want to learn to sew, but when I tried to learn this summer it was so frustrating, I love thee pictures from your journal! Yeah, sewing can be frustrating, but it's totally worth it if you kept at it! It really does get easier in a lot of ways as you build up your skills! Thank you, Daffny! I saw your self love journal somewhere, and it's awesome! I do just like having inspiration books, definitely. 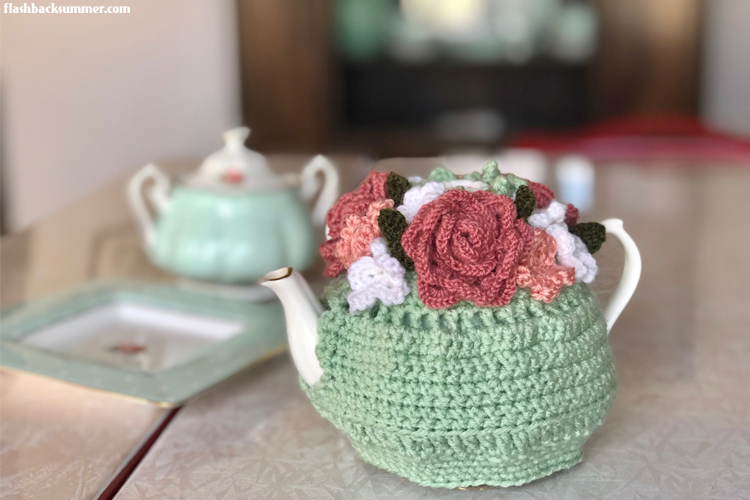 They're kind of like a "paper Pinterest," but they're more meaningful down the road if you take the time to really create them using your own hands! 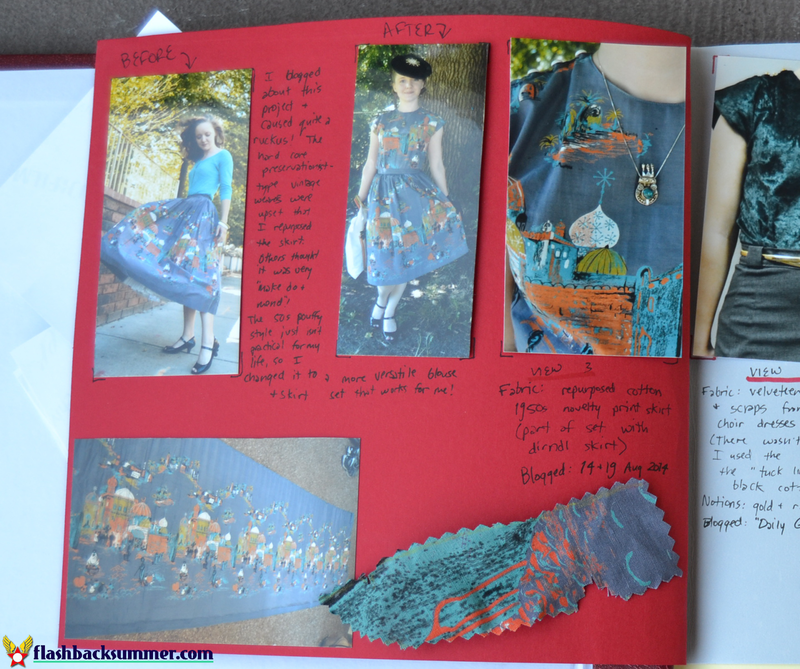 Great idea Emileigh, I love seeing your interpretation and fabric swatches. I'm sure you'll look back on this when you get older with a great deal of remembrance. It also helps to write your thoughts out as you have just completed a project. I wish the lady had included images of herself in her journal. Writing my thoughts as I just complete a project is a good idea! I'm trying to do a bit of catch up right now, but I'm definitely going to have to include that in my future ones I'm working on! I saw the title and said to myself 'Hey I do that!' And I continued to look, and ohh and ahh at how lovely yours is, and I see you mentioned mine! Thanks! But my goodness, yours is super awesome! 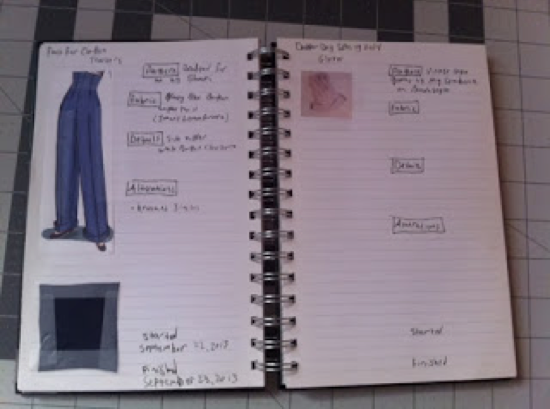 I love how you added the extra elements to the pages including which event you originally made the garment for! 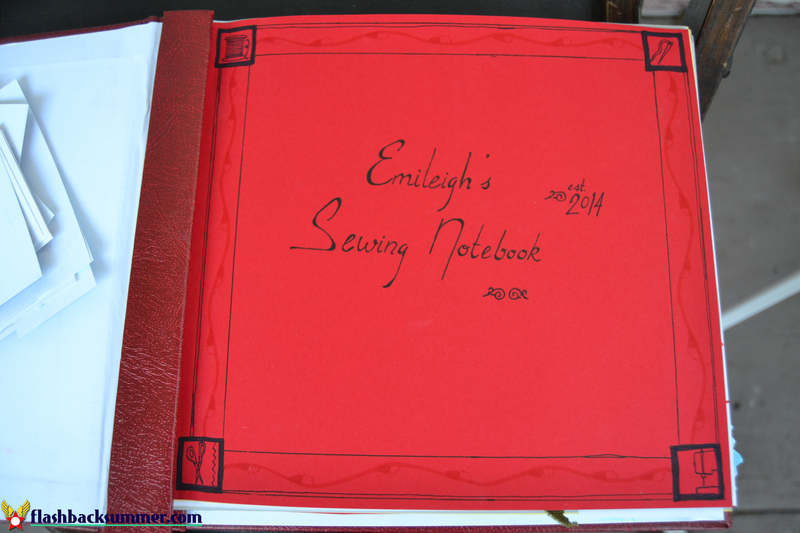 Whenever I decide to make a new sewing journal, I think I'll include that in it as well. Hahaha, yeah! And I liked how you included the pattern picture in yours. I haven't printed mine out yet, but I'll definitely be adding that element to the pages soon! What an incredibly lovely, meaningful journal. The scrapbooker - and documentarian/historian in me - is so massively smitten and impressed by your awesome project journal. Really, really great work, sweet Em! 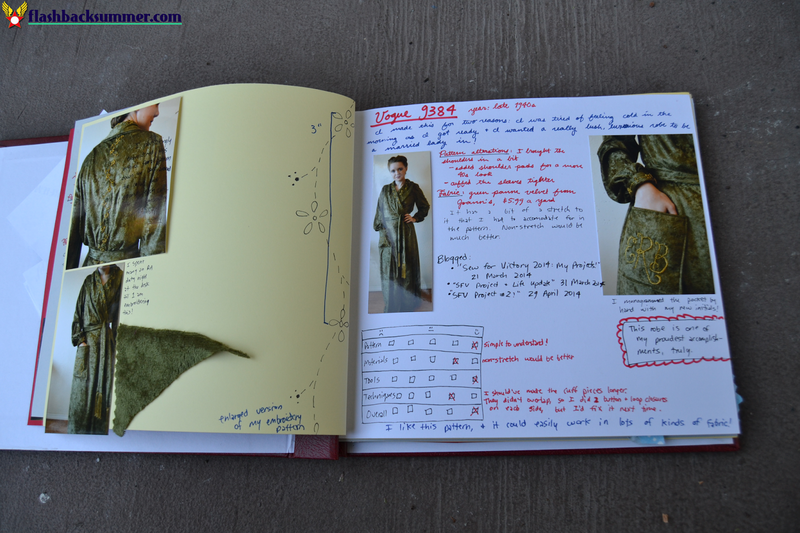 I loved the journal that Joanna shared too, and yours looks amazing. 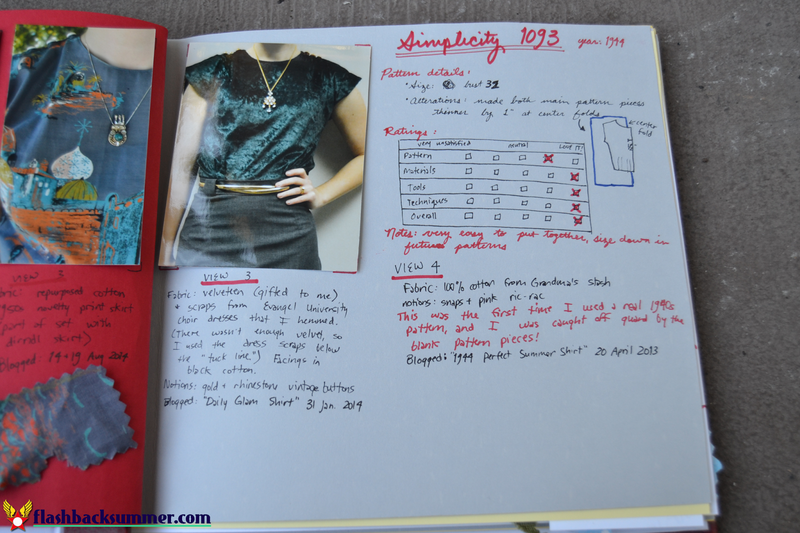 I think that handwritten is the way to go for any kind of journal. Sticking things in and being able to do quick little notes and sketches and similar actions are too valuable to lose by going digital! I totally agree! Not to mention, hand written things are always so much more meaningful in general. 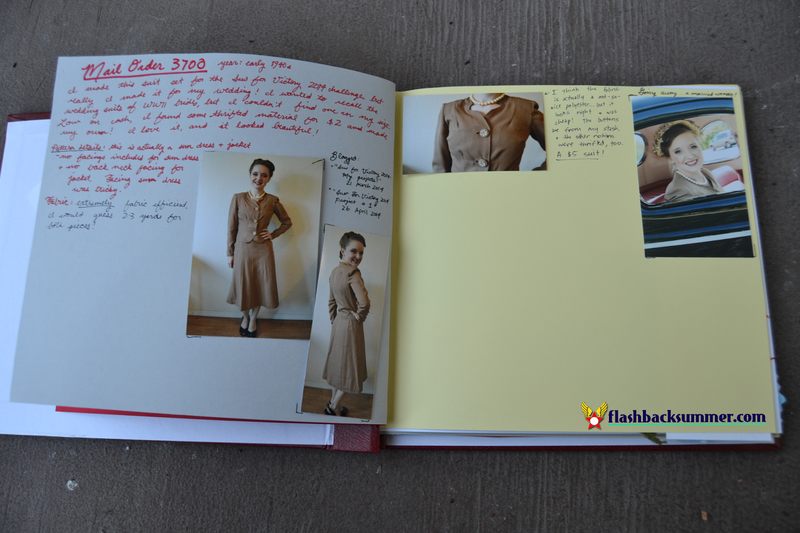 I liked the 1940's journal when I saw it, I would love to find something like that. I think it is a wonderful idea to make your own. 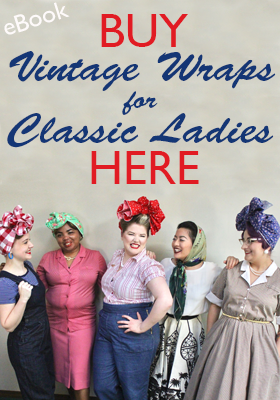 I do something similar for my vintage knits. This is an awesome idea! I also can't doodle on a computer and I love to doodle ideas. I'm not exactly sure if the zombies would get anything from it but I think it would be a great help assisting any future handicrafters in my family.